General Electric is launching a new business that rolls LED lighting, wind and solar, energy management and energy storage into one unit, with financing available to customers from GE Capital. 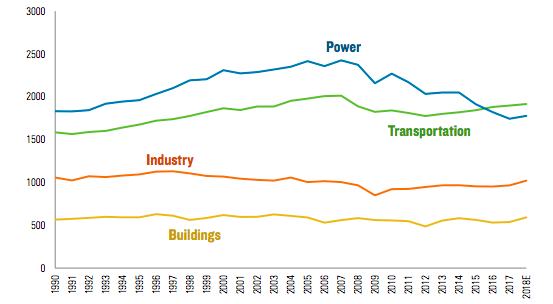 GE describes "Current" as: "a digital power service built to transform the way we use energy." The idea is to provide a one-stop shop for large customers, including cities, that want help creating this new kind of energy network. GE says: "Imagine using the most advanced technologies to make real-time decisions about your energy use. Imagine intelligent environments where buildings can generate power on site, or on the grid through networked lighting. Imagine smart cities configured with eco-friendly LED lighting systems networked with sensors. 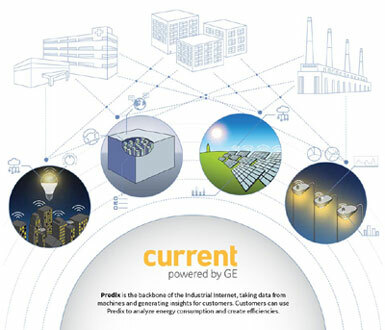 "Current, powered by GE, will meet the unique needs of a wide range of utility, commercial, industrial and municipal customers and provide them with Predix-enabled hardware and software they need to be more reliable, efficient, and profitable. Current will deliver a combination of financing with GE’s physical and digital capabilities across energy efficiency, solar, storage, and onsite power." GE expects the business to yield $1 billion in sales the first year, rising to $5 billion in five years. Walgreens, Simon Property Group, Hilton, JPMorgan Chase, Hospital Corporation of American and Intel are among those already on board. Separately, GE Power & Water announced a partnership with Exelon and PSEG on a digital power plant that allows utilities monitor and manage for optimum efficiency. Using GE’s Predix industrial data platform, utilities will be able to continuously upgrade operations of all kinds of plants, such as wind, nuclear and gas. The software will make digital power plants as responsive as batteries, saving $75 billion in avoided generation, says GE. GE also announced it has finished one of the most extensive environmental cleanup projects ever, dredging a 40- mile stretch of NY’s upper Hudson River for cancer-causing PCBs. Since 2009, more than 300,000 pounds of PCBs have been removed – at least double what was originally anticipated – at a cost of about $1 billion. GE will now restore underwater vegetation and then monitor environmental conditions in the river for the foreseeable future. Other areas of the river are still being dredged. From the 1940s to 1970s, two GE capacitor plants dumped 1.3 million pounds of PCBs into the river, creating one of the largest Superfund sites in the US. It took over a decade to figure out the best way to remove the PCBs, and the EPA finally settled on dredging. I am thrilled to see the GE’s efforts for the sustainable development and I want do something in this in this regard. I think to start the business of distribution of GE products into Australian market or South Indian market. I request you to know the requirements for this apart from serious intention of starting business in this area with GE.